I was a Catholic schoolgirl. I have a lot of stories that surround this fact. Sooner or later, I was bound to convert some of them into story material. And now, in Devilish, I have. Specifically, I was a girl at an all-girls Catholic prep school in the city of Philadelphia. 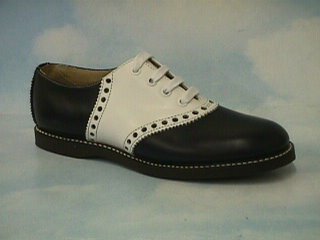 I wore a serious-looking uniform (that I gave to May Gold in The Key to the Golden Firebird) with some very attractive reverse saddle shoes. Our actual school shoe. I am glad to see that they never update the design. It is already perfect. See how it flies though the sky in this photo. That’s because wearing this shoe is like being in heaven. I had no idea this last one would matter until I actually got there. My family didn’t care about these sorts of things. We didn’t think it would be a big deal. We were kind of wrong. I’m sure that to everyone else, being Catholic, school wasn’t that much of a shock. It was a massive shock to me, in ways I didn’t expect. Take where you live, for example. That should be an easy one, right? Not so much. When someone asked, “Where are you from?” I would say what neighborhood I came from. They meant parish. You could be from Queen of the Universe, or St. John’s, or St. Tim’s. I didn’t even know my parish. I didn’t know where I was from. If I named the parish (after I looked it up), I couldn’t name one single person from it. This was a problem because most people knew each other through their parishes or parish schools. I might as well have just arrived from Belgium. Plus, there were a lot of prayers. Every day started out with about five to ten minutes worth. I didn’t know the words. Try going to a Catholic school without knowing how to say a Hail Mary. It doesn’t work for long. And there were masses, which were even more terrifying. I discovered that there were no books or sheets to guide you. The Catholic girls already knew all the words, all the prayers, all the moves. It was like I was thrust into a play, but hadn’t been given the script. The result was that at the age of thirteen, in this strange new environment, I had to become a bit of a professional faker, employing all kinds of tricks to hide the fact that I had no idea what I was saying or what was going on. This is really good training for life. It was like I was in jail, but liked it because the other inmates were cool. But let me tell you about My Big, and why Devilish starts out the way it does. Devilish begins at something called the Big-Little Day ceremony, in which senior girls take on freshman little sisters. This is a version of something we did at our school. As freshmen, we each got a sophomore and a senior. Soon after I arrived, a really nice girl walked up to me and asked me if I had a sophomore. I didn’t, so she said she would be mine. That’s often how it worked out. If you didn’t know someone in advance, you’d just ask, or someone would just ask you. I was happy. Here I was, with my nice new big sophomore sister. She looked like the kind who would be good to me during the horrors of Freshman Week, when older students could order you around and make your life a misery. I was already dealing with the not being Catholic thing and wanted to skip and additional aggravation. But then, along came The Other Sophomore. The Other Sophomore was on my bus. She was tall, blonde, and very scary (to me, anyway). She wore a black leather jacket—the kind of heavy metal style, with the fringe. She smoked and hung out in pool halls. She flirted with a lot of guys, but not in a cute, flirty way. It was aggressive. You know that person at your school that everyone suspects has about fifty kinds of VD? This was that girl. I’m not saying it was fair or right—that’s just how it was. The Other Sophomore noticed me because I was on her bus and we shared a name. I expected that from then on, I would be in for a very personal kind of hell (she could be kind of mean), but to my surprise, she allowed me to enter her world in peace. She had taken a shine to me. Why, I have no idea. One day I said something in The Other Sophomore’s range of hearing. She came over to me. My input on this matter was not required. Even though my sophomore was too busy with her guys, her smoking, and being scary to worry about me much, she never ignored me totally. I was her freshman, her property, her plaything to drag out on certain occasions. Like the neglected pet of the school bully, I was useful from time to time, and got sudden, inexplicable displays of affection, whether I wanted them or not. An example. One day, I’m out on my street, minding my own business as I tried to stay awake waiting for the bus. I saw the bus coming, far off. Then, the car in front of it sped up. It came to a screeching halt in front of me. A hand reached over and opened the door. A huge cloud of cigarette smoke came out, and my sophomore leaned over. By this point, the bus was right behind her. The driver could see me. It should be noted that my bus driver was a complete weirdo who often made executive decisions about how we were all going to get to school. If he saw me getting into my sophomore’s car, he was likely to decide that I had new transport and would therefore never wait for me, even for a moment, if I was late. This was the same weirdo who would later ask me out, and when I turned him down, ripped out my seat. My sophomore was insistent, though. She wanted me in her car, and she wasn’t moving until I got in. So, because this standoff was in full view of my bus, I got in. We went screeching down the street, causing at least one of my neighbors to shake her head in anger. She would have noted the license plate number at the stop sign if my sophomore had bothered to stop. Having made this declaration, she turned up the radio. Guns N’ Roses was on. I’d heard plenty of people say they were going to kill themselves if they were having a rough day. But my sophomore was not most people. And I’ve been in plenty of cars that were driving way too fast and not entirely observing the laws of the road. But she was driving with a kind of deliberate insanity, her eyes glowing, a cryptic smile on her face as she floored it through red lights. This time, I wasn’t entirely convinced it was a drill. It was possible that Axl Rose was going to serenade me in my final moments. So she had decided to pick me up today because she was planning on killing herself, and who wants to do that alone, right? If she was going, her freshman was coming with her. I gripped my seat and tried to figure out what to do. She laughed a genuinely alarming “I haven’t decided whether or not I am joking or serious” laugh. I laughed back, because I was sort of convinced that if I didn’t she would put her cigarette out in my eye before pushing me out of the still-moving car. Which may have been a good thing, anyway. In the end, she decided that the risk of carless survival was too high. I ended up getting to school late, because I wasn’t the only person she had decided to pick up that morning. I was moved to the backseat, which was a nightmare. Plus she had to buy a carton of cigarettes at the gas station and randomly park in front of the local guys’ school to watch somebody do something. I huddled in the back like a kidnap victim, trying to smile and pretend like I was enjoying myself. Being late was no small affair at our school. It got you demerits, a grilling in the lobby, calls already being made to my next-of-kin and the FBI . . . Plus I completely reeked of smoke, smoking being a real death-penalty-level infraction. Obviously, this brand of kindness is the kind that doesn’t help a lot, but that was life with My Big. So if you read Devilish, know that this is what fuels that scene for me. It also explains how the role of the demon was cast. Oh, and in case you are wondering, I still have the shoes. Just ask if you want to borrow them. *Careful readers may notice that I gave this line to Avery in The Bermudez Triangle, after she was fired from P.J. Mortimer’s. Well, your Sophomore is right about something - you are incredibly hilarious! And I am very grateful the Sophomore decided not to kill herself... and you. For your books had to be written and read by all! Hahaha wow. That sounds... Wow. I would have been scared to death.